This biography of Ralph Waldo Emerson for children was excerpted from Mary Stoyell Stimpson's book, A Child's Book of American Biography (1915). Add over one hundred years to Ms. Stimpson's time reference when you read it with your own children. You can't think how hard fathers and mothers used to work and plan to get their children educated in the old days when there were no public schools. The Emersons did some planning, I can assure you. 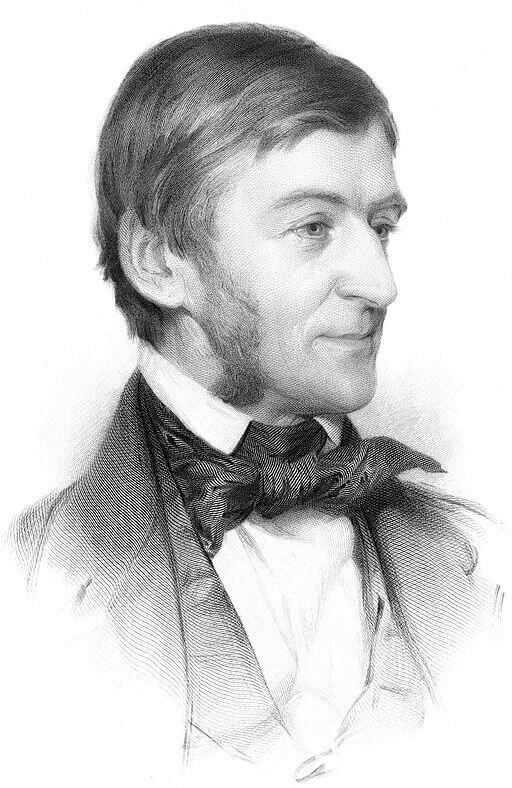 All the pictures of Ralph Waldo Emerson that I have happened to see show him as a man of middle age, with very smooth hair, and plain but very nice-looking clothes. He looks in these pictures as nurse Richards used to say of my father,—"as if he had just come out of the top bureau drawer." In spite of all these hindrances, William saved a little money in five years. He bought a small farm and got married. As the years went by and there were children to feed, his preaching did not bring half the money they needed, so he taught school, his wife took boarders, and he—even—sold—his—beloved bass viol. And I do not think they felt that anything was too hard if only these children could go to college. Mrs. Emerson was very proud of her husband when he stood in the pulpit on Sundays, and used to shut her eyes and try to imagine how their boys would look in a pulpit. The other boys,—Waldo, Charles, Buckley, and Edward,—proved to be fine scholars, like Ralph, but they were never strong.They were always having to hurry south, or across the ocean to get over some illness. The truth is they did not have enough to eat when they were little. Old maid aunts can tell stories of heroes every night in the year, but that will never take the place of bread and potatoes, eggs and milk. The Mountain called the Squirrel 'Little Prig'—"
Ralph Waldo Emerson's story is featured in our collection, American Biographies for Kids. You may also enjoy visiting American History for more authors and their writings which helped shape the country. Add Ralph Waldo Emerson: A Child's Biography to your own personal library.